With the arrival of new players such as Amazon Pay, Google Tez and Flipkart’s PhonePe, digital money companies are now changing their business pitch. From facilitating loans to providing micro-ATMs in rural areas, wanting a bigger role than that of being just a mobile wallet, digital money providers Paytm, MobiKwik and others are expanding, pivoting and transforming their core business model in hopes of becoming a complete financial services solution. While digital money companies went all out to promote their mobile wallets last year after demonetisation, with the arrival of new players such as Amazon Pay, Google Tez and Flipkart’s PhonePe, companies are now changing their business pitch. MobiKwik, which has over 65 million users and 2 million merchants, is using its database to promote financial services via its string of partnerships with leading blue-chip brands such as BSNL, Bajaj Finserv and IndusInd Bank, thus targeting almost 260 million users combined. “I think the nature of what one understands about wallets is undergoing a change. For me MobiKwik is becoming a smart money app. You can start disassociating the wallet from the app. "On my app one may have a loan outstanding, an insurance product, EMI card from Bajaj and may also have a wallet. MobiKwik is no longer just a wallet,” said Bipin Preet Singh, co-founder of MobiKwik. The company is planning to make a big splash in the alternative credit scoring space by providing data to banks, so that a whole new segment can be targeted for loans and other financial services. “We are taking a much more collaborative approach as far as payments is concerned. "There is a huge opportunity for alternative credit scoring. It is all about data and how you use that data, based on which we can offer loans. "This goes beautifully with our payments side. The more payments you make, you become eligible for higher amounts,” he added. The company is working with multiple banks and NBFCs to provide basic information. The company has hired a chief risk officer as well and hopes to work with as many as 10 banks by the end of next year. At a later stage it will hive off this vertical into a whole new business altogether. “This is the part of the business the company expects will generate revenues. "Currently, it is part of MobiKwik, but as it becomes bigger, we plan to hive it off. "We already have hired a business head for this who comes with a strong lending experience,” Singh added. From being one of many in the crowded mobile wallet space, Oxigen Services has decided on moving to providing financial services via micro-ATMs. The company recently said that it would concentrate on adding customers in Tier-II and Tier-III cities. Oxigen claims to be handling transaction values of Rs 12,000 crore a year. “We are definitely pivoting around micro ATMs; these cover all forms of payment systems. We are trying to be a universal payments platform. "This is why we have shifted our strategy. By 2020, we hope to deploy 200,000 micro-ATMs,” said Pramod Saxena, chairman of Oxigen. 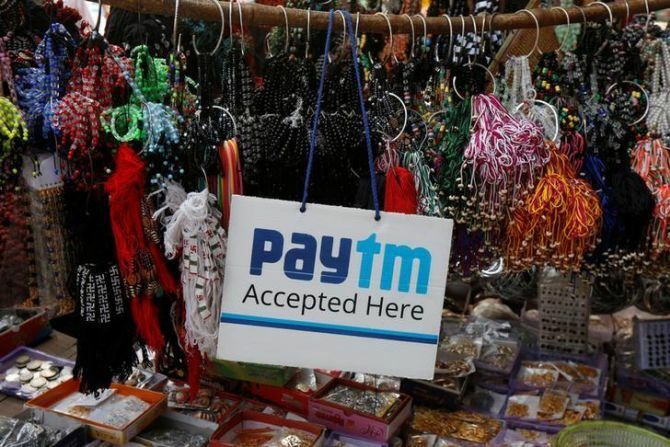 Vijay Shekhar Sharma led One97 Communications Limited, which runs the country’s biggest mobile wallet Paytm, now claims to be India’s largest mobile-first financial services platform offering payments, banking, lending and insurance. With the launch of Paytm payments bank, the company aims to bring banking and financial services to 500 million customers. With entrants such as Amazon Pay and Google Tez, competition in the segment has increased drastically. Amazon.in on Wednesday announced the launch of mobile prepaid recharges on its platform. “The launch of mobile recharges has opened up another avenue for customers to utilise their Amazon Pay balance,” said Shariq Plasticwala, director, payments, Amazon Pay. Why are digital wallet players worried?